The East Imperial Gin Jubilee, Asia’s premier Gin & Tonic festival, has crowned Asia’s Best Gin & Tonic. 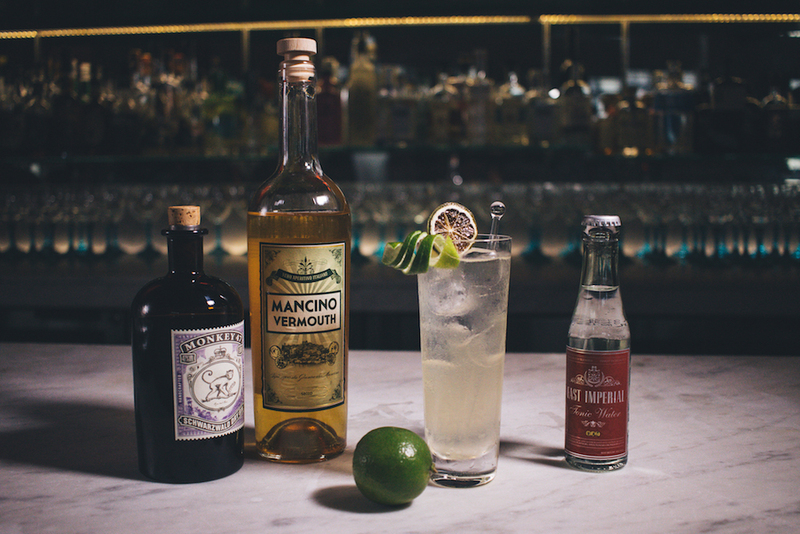 This year saw Kuala Lumpur, Phnom Penh, Hong Kong, Shanghai and Singapore each host week-long festivities to celebrate all things gin and tonic. There were masterclasses, pop-ups, guest shifts, gin rambles and, of course, the highly anticipated Gin Lane closing party. There was a wealth of participation from across the region this year, with a total of 137 bars getting involved and thousands of consumer votes submitted via social media. After extremely close preliminary rounds of competition, the highest voted G&T from each city was then sent to Singapore battle it out for the coveted title of ‘Asia’s Best Gin & Tonic’. Judging occurred on the last day of the Singapore jubilee by a panel consisting of East Imperial co-founders Kevin Law-Smith and Anthony Burt, Tippling Club’s head bartender, Joe Schofield, and Sean Kenyon, American Bartender of the Year 2014. 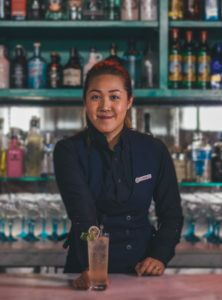 Imelda Ng, bartender at Blue Bar at the Four Seasons Hong Kong, took out the top spot with her ‘Ferien’ Gin & Tonic. The simple, yet elegant high ball serve is made from Monkey 47 Schwarzwald Dry Gin, East Imperial Burma tonic, Mancino Secco Vermouth infused with mulled spices of cinnamon, cloves, orange peel and lemon peel, caramel syrup, and garnished with fresh lime. The name of the cocktail means ‘relaxing vacation’ in German, and Imelda sought to evoke the enjoyable experience of holidays through her innovative use of flavours. “I wanted to showcase the holiday spirit in a Gin & Tonic for the East Imperial Gin Jubilee, and it was exciting to experiment with the complex Monkey 47 Schwarzwald Dry Gin, which uses an incredible 47 botanicals, including unusual ones like honey pomelo and lingonberries, and the East Imperial Burma Tonic with fragrant top notes of Thai lemongrass and manao lime,” said Imelda. Imelda’s winning cocktail is now available at Blue Bar at the Four Seasons Hong Kong upon request. The festivities closed with the annual Gin Lane party, held in the back lane of Amoy Street in Singapore. More than 2000 people attended, and 5000 Gin & Tonics were consumed over the course of the night. “It was extremely heartening to see everyone in the community, friends old and new, come together to celebrate one of the most popular classic cocktails ever. East Imperial will continue to push boundaries to offer the best tonics, so as to complement the increasingly diverse variety of premium spirits out there, for imbibers in Singapore,” said East Imperial co-founder Kevin Law-Smith. The first jubilee for 2018 has already been announced and will be held in Auckland in March. For more details, head on over the East Imperial Gin Jubilee website.